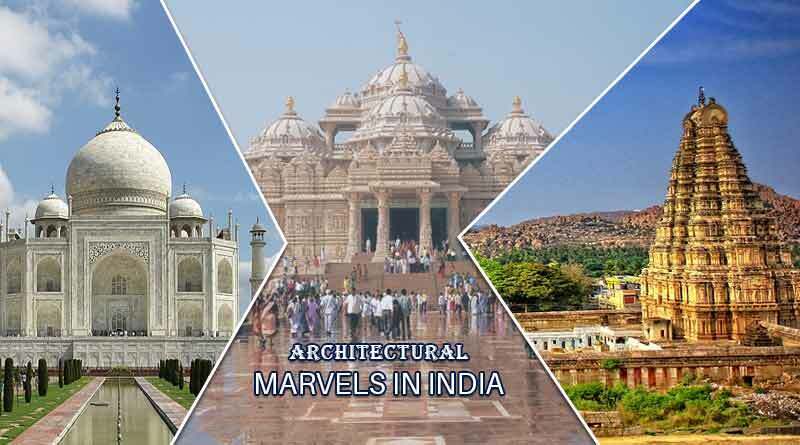 We are going to introduce you to some of the best architectural marvels in India. These places will leave you spellbound with their exquisite architecture and serene ambience. Tawang Monastery was founded by Merak Lama Lodre Gyatso. 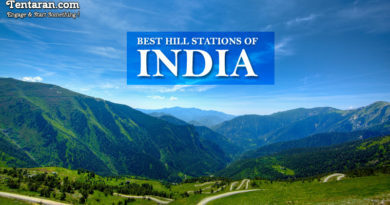 It is situated in Tawang District in Arunachal Pradesh, India. Also known as ‘Gaden Namgyal Lhatse’ (in Tibetan), it is the birthplace of sixth Dalai Lama. The monastery is the largest of its kind around the country and is one of the largest monasteries in Asia. Konark houses a massive temple dedicated to the Sun God situated in the eastern state of Odisha, India and is one of the eminent tourist attractions. There are three images of the Sun God at three different sides of the temple in a proper direction to catch the rays of the sun at morning, noon and evening. Konark Temple was designed in the form of a chariot mounted on 24 wheels drawn by 7 mighty horses. It was declared a UNESCO world heritage site in 1984. Read about the architecture and some other interesting points about the Konark temple. The Ajanta and Ellora caves are one of the most famous UNESCO World Heritage Sites in India located in the Aurangabad district of Maharashtra. The caves consist of Buddhist, Jain and Hindu cave temples, paintings and sculptures representing aesthetic Indian Ancient art. Read some very interesting facts about Ajanta and Ellora caves. The Taj Mahal meaning “Crown of the Palaces” is an ivory-white marble tomb and one of the Seven Wonders of the World located in the Indian city of Agra. Taj was commissioned in 1632 by the Mughal emperor, Shah Jahan in the memory of his favorite wife, Mumtaz Mahal. Read some very interesting facts about the Taj Mahal. Meenakshi Amman Temple is one of the oldest and most important Shakti temples in India visited by thousands of devotees during festival seasons. It is believed that Lord Shiva assumed the form of Sundareswarar and married Parvati at this place. The ruins of Group of Monuments at Hampi are a UNESCO World Heritage site located in a peaceful village in Karnataka, boasting of its spectacular ruins that remind visitors of its former glory. During the 16th Century, Hampi city of Vijayanagara Empire was the second largest city in the world with a population of around 5,00,000. The architecture of Hampi is primarily based on the Dravidian style but the Indo-Islamic style has also been incorporated in secular structures. Swaminarayan Akshardham at New Delhi is a temple and cultural campus dedicated to devotion, learning and harmony. Each element of the Akshardham temple exhibits strong spiritual and aesthetic essence of India. The Akshardham temple has over two hundred idols, representing many of the spiritual stalwarts over many millennia. Check out some very interesting facts about the Akshardham temple. Khajuraho Group of Monuments is the pride of Indian architecture and a UNESCO World Heritage site in India. There are ancient records of there being 85 temples in Khajuraho earlier, but, presently, only 25 temples are found. The three main complexes of the temple are dedicated to different gods and goddesses of Hindu religion and some temples are also dedicated to the Jainism. For more articles like ‘Top Architectural Marvels in India’, do follow us on Facebook, Twitter, and Instagram.